for LGBT employees in honor of the Company’s 100% rating. comprised of more than 3,000 employee participants across the globe. generation and conservation, and increasing agricultural productivity. otherwise expressly noted. 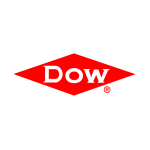 More information about Dow can be found at www.dow.com.